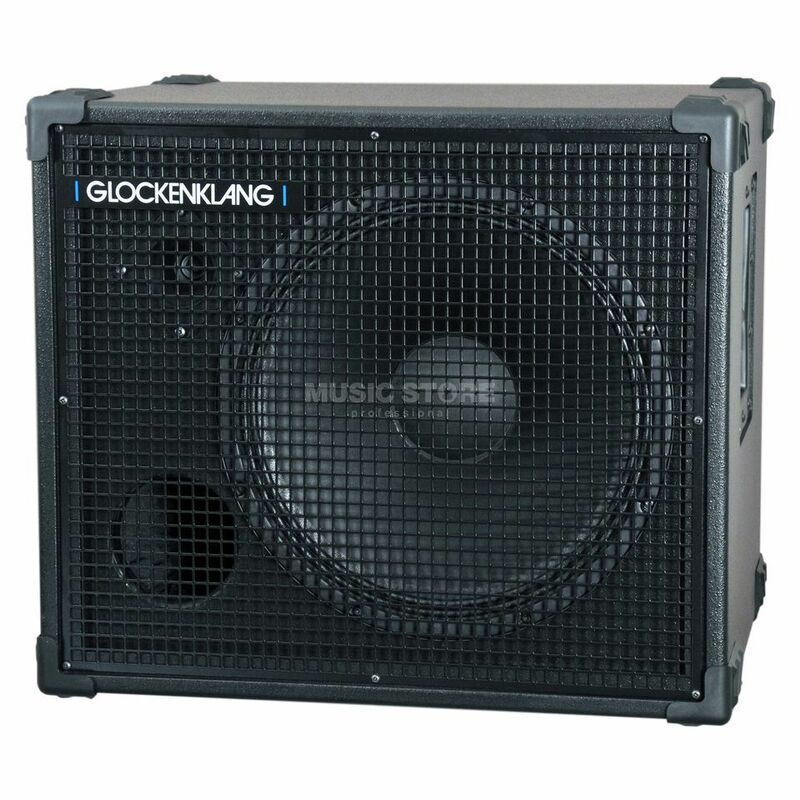 The Glockenklang Uno Rock Bass Guitar Amplifier Speaker Cabinet has been designed to be the perfect companion to the brands Heart-Rock amp head. The Glockenklang Uno Rock is equipped with a single 15” speaker that has been designed specifically for use in this cab by English company Volt and is joined by a variable high frequency tweeter. This setup is rated to handle a powerful 400 watts at 8 Ohms and features a very even frequency response across its entire output range of 36Hz – 18KHz. The speaker selection of the Glockenklang Uno Rock is housed in a ported Birch-ply cabinet that is finished in a hard-wearing epoxy coating and lined internally with studio grade acoustic foam. This helps to tune the frequency response to the desired range and minimises any unwanted resonance.